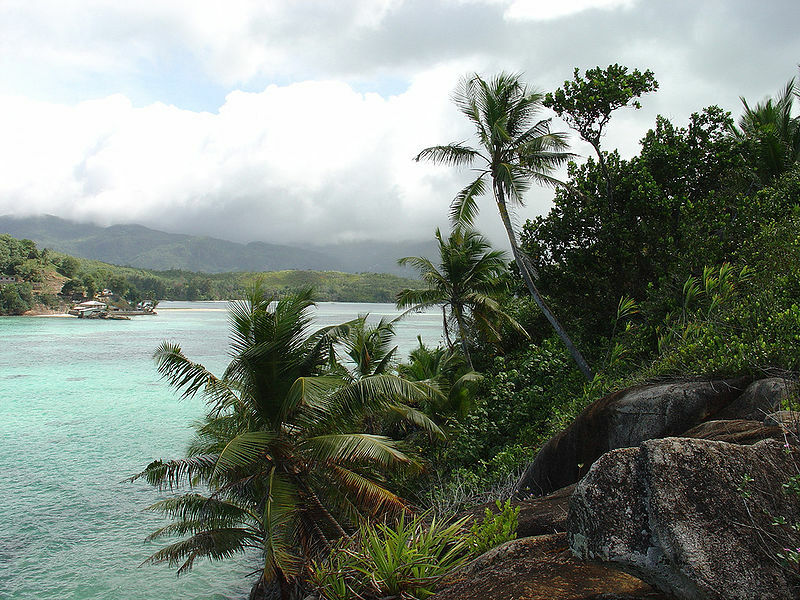 Set in the gorgeous sparkling waters of the Seychelles, Moyenne Island looks like wild and untouched paradise, brimming with lush jungle, lumbering tortoises and flocks of tropical birds. The island is, however, inhabited by more than flora and fauna – Moyenne is the permanent home of 86-year old Brendon Grimshaw, a former Yorkshire resident who first came to the remote island chain on holiday in the late 1950’s, and realized that he never wanted to leave. Of course, most holidaymakers reluctantly drag themselves back to their quotidian jobs and lives, eagerly awaiting their next tropical vacation. Mr. Grimshaw, on the other hand, quickly set about making plans to escape the hectic lifestyle of the modern world for good. On the very last day of his trip, he heard about Moyenne – and after a quick visit, it was love at first sight. After a dinner with the island’s owner, a deal was made. It’s now been 50 years, and in spite of “blank cheque” offers from eager buyers like one Saudi prince, Mr. Grimshaw has no intention of leaving. Despite the common perceptions of island living, it’s not as though Mr. Grimshaw spends all day lazing on the beach – creating a habitable environment out of Moyenne took some serious labour, and more than a few blisters. He does have some help with his work – his very own Man Friday, a local Seychellois by the name of Rene Lafortune, who helped him clear a living space, plant palm and fruit trees, and, most importantly, collect water. Without a running stream, water is an ever-present concern, and catching rainwater or lugging barrels from the mainland has been a top priority. Adding to his busy schedule, Mr. Grimshaw also tends to a fleet of 120 endangered giant tortoises, gentle and long-living creatures who he knows by name. As reported in the UK’s Daily Mail, the visiting journalist spotted a sign outside the island’s simple wooden home; “Please respect the tortoises. 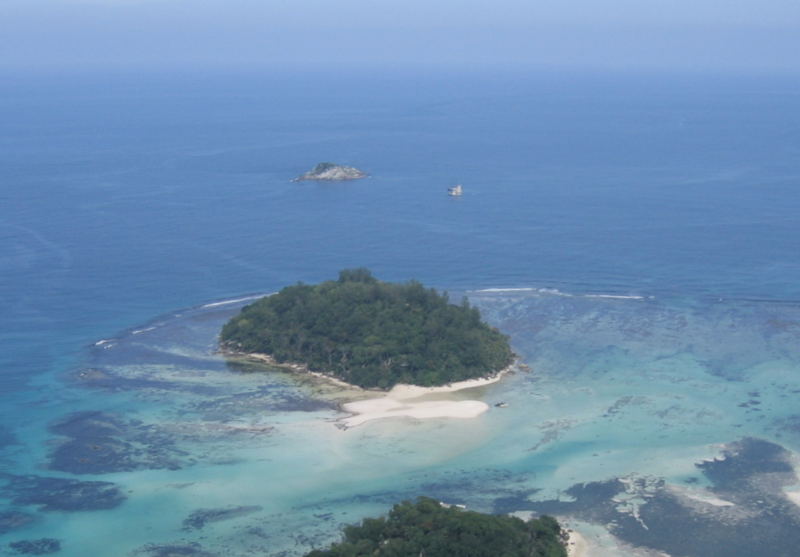 They are probably older than you.” An avid conservationist, he has also helped thousands of birds, some rare in the wild or indigenous to the Seychelles, make Moyenne their home. Now a true Garden of Eden, Mr. Grimshaw intends for it to become part of a National Park after his passing. Perhaps the most shocking element of Mr. Grimshaw’s story is that little Moyenne, sitting amid islands owned by billionaires and posh resorts frequented by royalty and Hollywood celebs, cost just £8,000, albeit in the 1960’s. It would cost roughly that much to rent a villa on North Island, the luxury resort chosen for by the Duke and Duchess of Cambridge for the honeymoon, for a mere two nights. But the sizeable investment Mr. Grimshaw has made in the island has been one not primarily of money, but of his time, hard work, and plenty of love for Moyenne and its natural environment.